Nowadays, the modern business world is powered by technology, connectivity and online presence. Since the beginning of the Internet era, businesses have grown and evolved to be more efficient and available. However, with the increasing online presence come new threats that are more dangerous and more sophisticated than ever. Cyber attacks have the potential to compromise entire systems and databases in short periods of time. That can not only ruin a business as a whole, but also harm their customers as well. With cyber attacks becoming more frequent, effective and potent, there’s an increased need for better and improved cyber security measures. Today, cyber security is not only about successfully preventing cyber attacks, but also about minimizing the damage in case of a successful data breach. After all, online businesses are no longer concerned if the attack will happen, but about when will it happen. Here are a few reasons why cyber security is so important in today’s business world. The fact about hackers these days is that they don’t solely focus on large and profitable companies. That means that every company, business or institution no matter their size or income is a potential target for cyber attacks. Besides, large companies have more funds to allocate into cyber security. That may be challenging for hackers to breach, but it’s not impossible. Still, small to medium sized business and e-commerce stores are more frequent targets of cyber attacks. Oftentimes, attackers tend to breach security in order to compromise the system and steal sensitive information they can later sell on the black market. The fact of the matter is that no one is safe from cyber attacks. For instance, many companies in the U.S. and Europe were targeted by the largest DDoS (Distributed Denial of Service) attack prior to the U.S. elections in 2016. Also, WannaCry ransomware targeted companies and institutions across the globe in 2017. Needless to say, the urgency to implement strong cyber security measures is justified by the increased danger from attacks that are evolving each year. As mentioned before, cyber attacks can happen to anyone. In fact, 43% of cyber attacks target small business. When an attack occurs, it’s not only the businesses that are exposed to harm. Online customers are also targets because they made purchases from the business that’s been compromised. In such cases, the customers’ sensitive information gets stolen very frequently. That being said, businesses do in fact store some sort of information about their customers. For instance, 68% of companies store email addresses, 64% store customers’ phone numbers, while 54% store billing addresses. Once the consumers suffer consequences of a cyber attack, they’ll never do business with that company again. 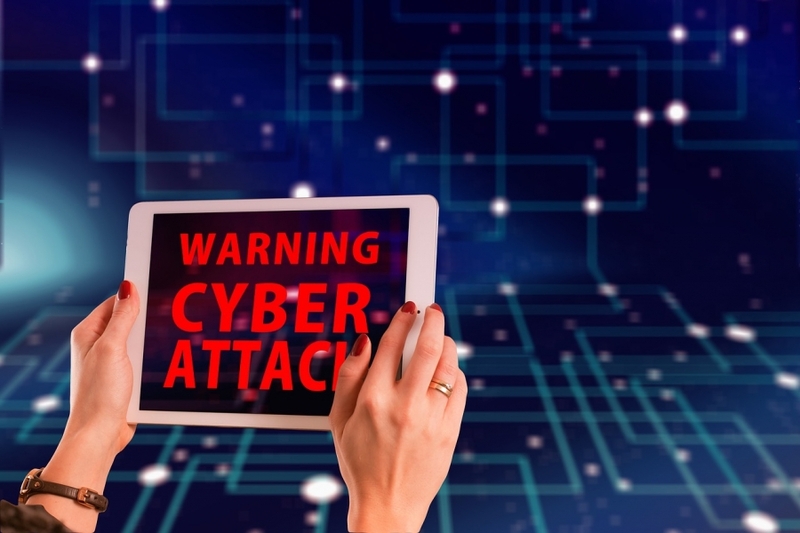 That’s one of the main reasons why 60% of small businesses fail after a cyber attack. However, it’s not just the expertise and sophistication of their tools that makes hackers successful in breaching security. Many small businesses are negligent when it comes to cyber security. That includes, using outdated software, lack of policies, and not having even the basic security measures in place. Business owners who are looking to protect both their business and their customers should consider consulting with the professionals, in order to establish strong cyber security measures and prevent any attacks. What characterizes modern online world is that there is an increased need for more connectivity. It’s estimated that the number of IoT (Internet of Things) devices will surpass 200 billion by 2020. What’s more, according to Microsoft’s predictions, the data volumes by 2020 will be 50 times greater than they are today. In the same year, there’ll be more than 20 million connected vehicles with built-in software and around 90% of phone calls will be online. That being said, the rapid connectivity creates countless opportunities for hackers to exploit. As a matter of fact, devices are mass produced without proper security in mind. A good example of that fact is that the Mirai DDoS attack was carried on through various IoT devices including baby monitors. With so many new devices, it’s critical that cyber security becomes a top priority, now more than ever. Cyber security experts and professionals are vital in designing proper security measures and preventing, as well as adapting to new growing threats. They make strategic decisions on how to protect data in the online world and help various companies implement adequate cyber security measures. However, the technology is advancing at a rapid pace and the online world is experiencing an increasing demand for more connectivity. As technology produces more devices that will meet this demand, it also creates more potential for new cyber threats to emerge. With that in mind, there’s simply not enough professionals that can keep up and manage to cover all the weaknesses where breaches are most likely to happen. It’s estimated that the damage done by cyber attacks and data breaches will reach a staggering $6 trillion by 2021. That means that cyber security is greatly falling behind in this modern age. Moreover, by 2019 experts predict that there’ll be a massive shortage of professionals with proper cyber security skills, leaving room for well over 1.5 million open job positions. There’s simply a huge need for professionals that could help make the Internet a safe place and protect both consumers and businesses from cyber threats. The online world is a dangerous place for both individuals and organizations alike. Without good cyber security measures, there’s no way to protect privacy or other sensitive information on the Internet. With so many people and business being dependable on the online world, it’s essential that the main focus goes on the cyber security. Can Strategic Wealth Management Benefit You?